Thank you for leading today's athlete and helping them succeed on and off the field. We have seen so many coaches be the leading influencers in athletes' lives. Throughout the years working with athletic programs across the nation, we have worked closely with coaches on how to best lead and connect with the student-athletes. With the Coach's Resource Kit we want to provide leading research and best practices to engaging Millennial athletes. Best understand how to invest their lives into their student-athletes helping the team succeed both on and off the field. Discover the latest research and trends on this new generation of students-athletes. Quickly learn the timeless leadership principles in leading teams and organizations to success. Employ student-athletes' strengths and work with their weaknesses on the field. Life Giving Mentors helps you understand how to successfully invest your life into athletes. 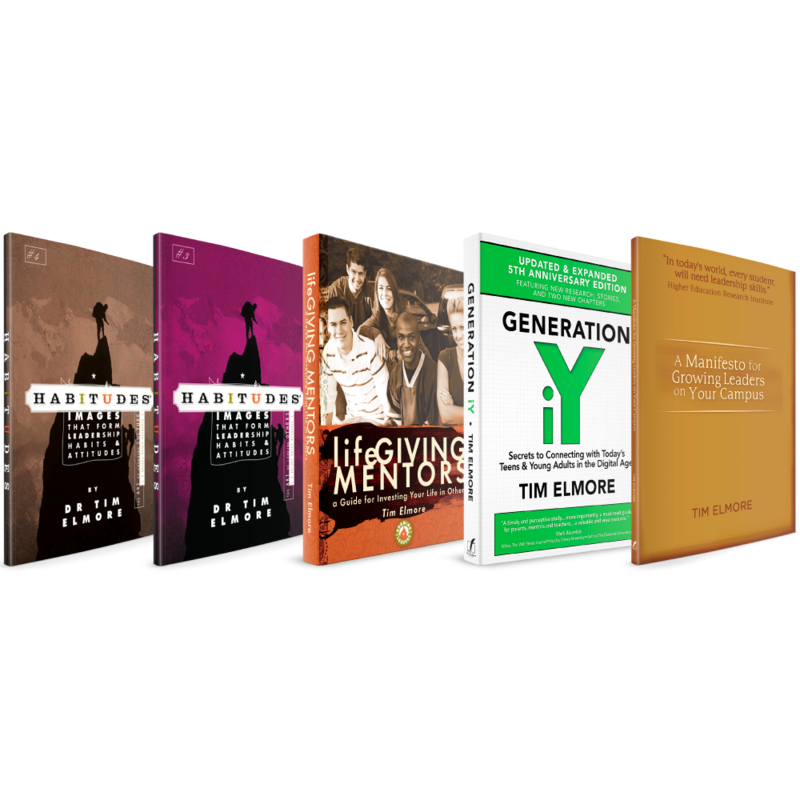 Generation iY® is filled with the latest research and trends in today’s athletes helping you understand and connect with this next generation. Habitudes Book #3: The Art of Leading Others is the perfect resource to knowing the principles involved with leading teams and organizations. Habitudes Book #4: The Art of Changing Culture gives coaches the timeless leadership principles needed to successfully change the culture on a team. A Manifesto for Growing Leaders on Your Campus equips leaders with the tools to lay a foundation that fosters a leadership culture where coaches and athletes solve problems and serve people.